Does your home feel stuffier than usual? Are you getting colds more often? You might be falling victim to poor indoor air quality. In the cooler months, we spend more time in our homes with the windows closed breathing in recycled air from our furnaces, or indoor air. Improving your home’s indoor air quality can help reduce the spread of germs and help you breathe easier. Here are 5 ways to improve the quality of the air in your home. Your air quality is only as clean as your home. If you notice a decrease in your indoor air quality, cleaning your house should be the first thing you do. Vacuuming your floors regularly will reduce the level of dust and allergens in your home. A vacuum with rotating brushes and a HEPA filter will help ensure nothing gets left behind. Allergens like mold and dust mites thrive in homes with high humidity. Keeping your humidity at a reasonable level, anywhere from 30 to 50%, is essential to maintaining good indoor air quality. Make sure you choose a high-quality dehumidifier with an excellent energy performance rating. An inexpensive and natural way to increase your indoor air quality is to get an air filtering plant. There are many to choose from, and since it’s an indoor plant it won’t require excessive levels of attention, so you don’t need to be a gardener to reap the benefits. Place the plant in a frequently used room. Here’s a list of some of the most popular air-filtering plants to help you choose. The air filter in your HVAC system collects all the excess dust and debris. They don’t last forever though; they require routine replacement. How often you need to replace your air filter will depend on factors like the outdoor air quality in your area and how often you run your AC or heater. A general guideline is to replace them every few months. You’ll definitely notice an increase in your indoor air quality with a new air filter. If you’ve tried all of the above methods and your indoor air quality still isn’t where you want it to be then it might be time to call a professional and have your air ducts cleaned. Dust and debris can build up in the ducts. HVAC technicians have special equipment that will reach through all of the ductwork and remove any dust that has accumulated. 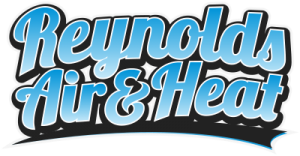 At Reynolds Air & Heat in Brevard County, FL we understand the importance of quality indoor air for your home or office. To schedule an appointment just give us a call or visit our appointments page.